It takes the right team of people to turn a new venture into a lucrative business, but when you are competing for talent with global companies both large and small, how do you stand out from the crowd? 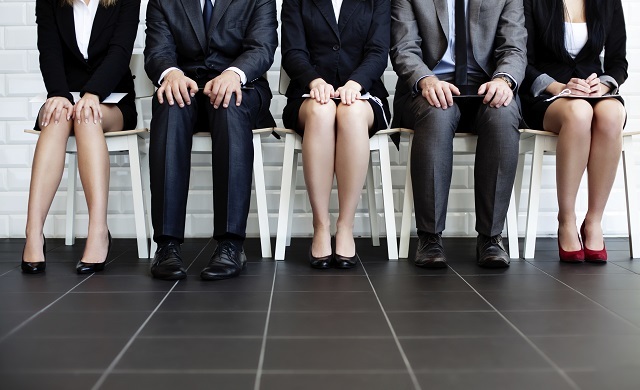 It can be hard for small business human resources to attract talented professionals. If you’re a start up or small business looking to grow your business by expanding your team, we’ve spoken to a number of successful start ups in order to get their insights and advice on sourcing and retaining talent. First up we have expertise from John Peebles, the CEO of Administrate. Administrate is a developer of software that assists training companies and training departments to manage and deliver e-learning courses. Our team is the most important thing for our business! We rely on our team to build our products, sell them, service them, and get the word out about them. We like to emphasize the fact that by working at Administrate you’re going to be working in a fast paced, high responsibility environment that is driven by our values. Some things that set us apart from other employers are the fact that we give a lot of autonomy, have a lot of hard problems to solve, provide huge transparency into how the business is running (all company stats are available to all employees), and we only work 4 days a week (32 hours) while paying a 5 day wage! What advice do you have for start ups looking to grow their team? Focus on building a great work environment that you yourself would love to work in. Really think about the company culture and codify it as much as possible so that when you grow you don’t lose sight. Secondly, we have insights from Ry Morgan, the Co-founder and CEO of Yomp. Yomp provides a health and well being platform that helps to increase productivity, reduce absenteeism and boost employee engagement. In my mind, business is all about people – so the team is of paramount importance to any business’ success. I love the expression “the people with the best people win” as it’s often true in the realms of start up – the company with the most committed, cohesive talent often outperform competitors. If you put “people” before “profits” then, funnily enough, you often get more of the latter. We’re a very open, authentic organization and as a result we get the entire team involved during the recruitment process. As a small team of 8 (at the time of writing), each new person represents a significant chunk of the entire company – so the last stage of any hire is taking them out for a coffee [perhaps as the local Starbucks franchise location] with the entire gang so as to gauge personality / culture fit. I think this also gives the candidate the sense of being a people-centric company – which I imagine is an alluring trait for a prospective employer. I always cite two quick soundbites when it comes to recruitment… The first is “character over competence” or, in other words, place more importance on the team / culture / passion fit of the person than their skill-set per se, as the technical ability can be taught, whereas their personality is inherent across everything they do. Don’t rush hires – it’ll cost you more in the long-run. Finally, we have more HR recruitment advice that you can use to grow your small business. If you are a top CEO, or executive, send us an email with your thoughts so that we can add you to the list of interviews. Most start ups will post their job advertisements to a few platforms. Once that job description is written, proof read and approved by a manager or supervisor, be sure to post it everywhere you can. There are many popular job sites like LinkedIn, Indeed, Monster and Craigslist. However, there are many more job sites that are broken down by industry. If your start up is in technology, you might want to consider an IT professional job board. Or, in healthcare, there are specialize sites dedicated to healthcare recruitment. To recruit the best talent, you have to search far and wide. There is no one or two platforms that give you the best results. It’s about finding people everywhere. When it comes to recruiting employees, you need to always answer the phone. Today, many recruiters dread answering the phone. Email is the most prevalent form of communication in business. However, always answering phone calls will help you show job seekers that you are dedicated to their job search and filling open positions. Picking up your phone will also present you opportunities that others who did not answer their phones may not have available to them. Always pick up your phone. It sets you apart from the many other startups out there and may turn out to be much more effective than social media sharing job listings. In addition to marketing your job post online, reach out to your employee’s networks. Odds are, if you have great people already working for you. They will know more great people who could fit right into your company culture. If you are a growing, successful business, this could be an untapped source of talent for your HR department. Many times, the best talent is already employed. They work for someone else, or your competition. By doing a resume search, you can dramatically increase the quality and size of your candidate pool. When you find a selection of candidates who fit the profile for your position, the job site allows you to invite them to apply for the freelance data entry job. Of course, your HR department must have something to offer. This can be higher pay, better culture or even quality benefits for employees. Keep in mind, these employees have their resumes online which means they are open to new job opportunities. Using the latest recruiting trends will also help attract millennials. This may require some brand building by the HR department to be known as a great employer. However, it is worth while to get on social media and showcase your company. Millennials are paying attention to employers who are genuine and transparent. These efforts can help you attract some top, young talent who will be eager to work for your company. As mentioned earlier, it is very important to see if the candidate is well liked by the other employees. In small start ups, recruitment mistakes can be costly for everyone and business moving is not the proper response to a single bad employee. By getting the team involved in selection, they will help identify great talent and avoid people who don’t fit within your company culture. Even as your company grows, having a division or team involved in the hiring process will help to ensure smooth onboarding too. There are, of course, standard questions that every hiring manger or HR professional must ask in every interview. However, it is important to make sure that you find out information regarding your applicant that is pertinent to your company culture, as well. Ask questions that are not typical and will help you make sure the prospective hire is a good fit for your office environment. If you find out more about who the interviewee is as a person, you will be better prepared to make the right decision for your company. It will help to ensure that the person you do decide to hire winds up staying with the company for many years to come. If you want to practice the absolute best HR recruitment, make sure you make the interview interesting. This way, you can be certain that your hire is there for the long haul. We hope that the small business human resources advice provided by these top CEOs has given you inspiration on ways you can both attract and retain the talent needed to grow your business.